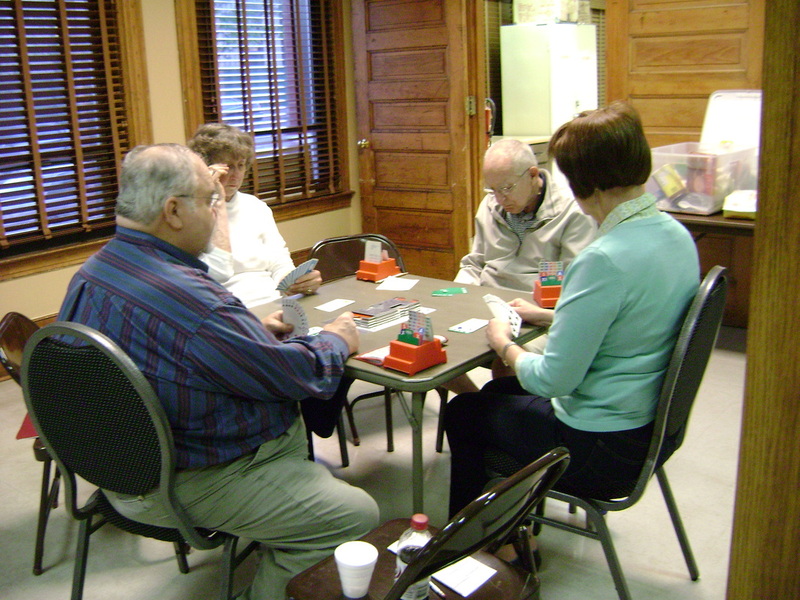 The Duplicate Bridge Club meets at The Heritage Center, 109 Delaware Street, on Tuesday evenings at 6:30 pm. Our game is small (2-4 tables) and we welcome all level of players. Some of our players are fairly new to duplicate bridge, and find the smaller game less intimidating than a larger one. Our director is Mary Fenlon, and Julia Dalton is in charge of partnerships. Cool and then break apart.